Up next in my series of favorite Christmas movies is the 1940 film The Shop Around the Corner. 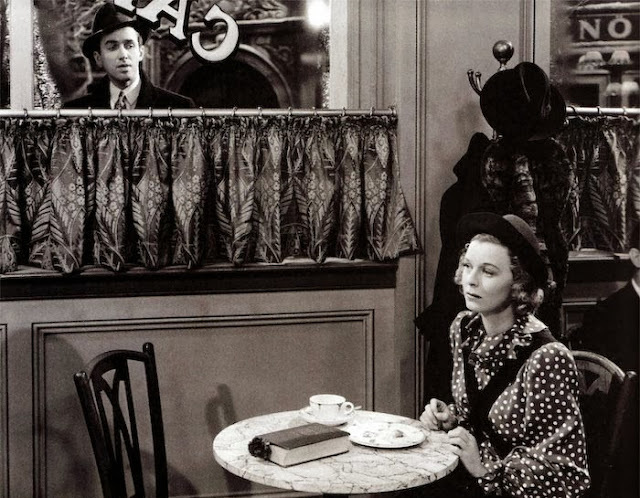 To give you an idea what it's about...Alfred Kralik (Jimmy Stewart) and Klara Novak (Margaret Sullavan), who work in a small shop in Budapest, constantly spar and antagonize each other. They are both writing to and falling in love with their secret penpals, not knowing that they are actually writing to each other. Sound familiar? It should. :) This is the first film adaptation of a certain 1937 Hungarian play. It was remade into a musical just nine years later: In the Good Old Summertime (which also made my list and will be reviewed later this month). And one of my favorite chick flicks, 1998's You've Got Mail, borrows so heavily from this basic plot that it's pretty much a modern remake. You've probably noticed that Kathleen Kelly's shop in YGM pays homage to this film with its name: The Shop Around the Corner. :) I love all three adaptations of the story. 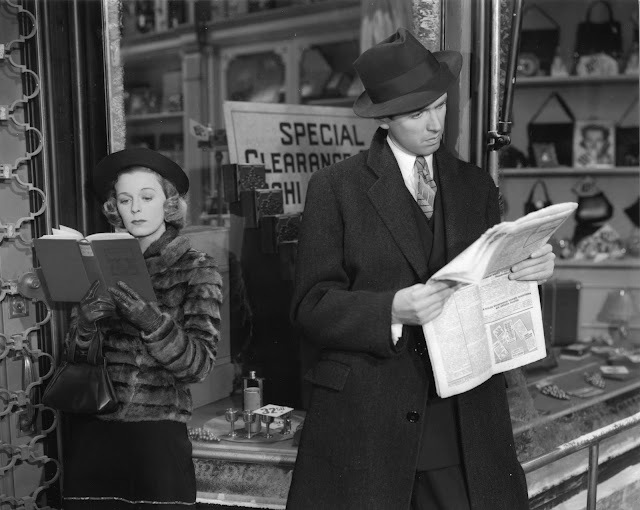 Speaking of Jimmy Stewart, let's talk about him and Margaret Sullavan. They are so cute together! They have amazing chemistry. I've read before that Jimmy Stewart fell in love with her in real life, and I believe it...it shows onscreen. I've seen him in a lot of films, romancing a lot of leading ladies, but it's different with Margaret Sullavan. They were good friends, anyway, and she's credited with helping him get his start in Hollywood. She coached him and helped him tone down his awkwardness into the aw-shucks Jimmy Stewart that we know and love. :) As for Margaret Sullavan, she's very airy and overly dramatic but somehow still sincere. They make a perfect pair in this movie. There are so many bits of unexpected humor in this movie. It's all very subtle and gentle humor, and it fits perfectly with the rest of the film. I love the whole little subplot about Klara choosing a gift for her beloved penpal: one of the music cigarette boxes or a wallet. I have two favorite scenes. 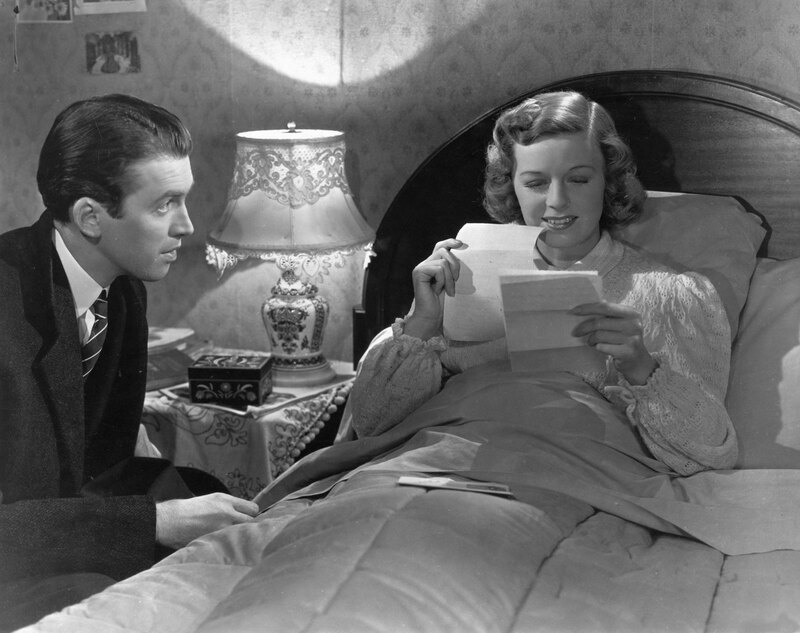 The first one is when Jimmy Stewart's character goes to visit Margaret Sullavan at her home. It's so adorable when he's standing there watching her read the letter that he wrote to her. :) This whole scene is lovely. It cracks me up when she's skimming over the letter, murmuring and mumbling until she gets to the good parts that she wants to read aloud. 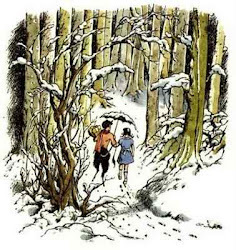 And of course, I also love the very ending, when the two of them are closing up the shop on Christmas Eve. It's a wonderful mix of humor and heart, like the rest of the film. The Shop Around the Corner is a lovely little gem, and I feel like it's really underrated among classic films! Don't be put off if you've already seen either of the remakes. 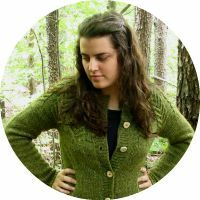 This one and In the Good Old Summertime actually share some lines, word for word, but all three of the adaptations are different enough that each one feels fresh. It never feels like you're watching the same story, though essentially you are. By the way, this isn't strictly a Christmas movie...it just happens to take place at Christmas time. It is included in one of my TCM holiday sets, so I consider it a Christmassy movie, but I definitely watch it all during the year. Have you ever seen The Shop Around the Corner? Which is your favorite adaptation: this one, In the Good Old Summertime, or You've Got Mail?